Sciblogs | NZ on the measles merry-go-round. Why? NZ on the measles merry-go-round. Why? It is raining and we are having another measles outbreak because a non-immune someone went overseas, picked up the most contagious virus known to infect man and brought it back home to the Waikato. They then spread it to others who were not immune to measles (generally unvaccinated). Controlling spread of measles takes enormous public health resources, every case must be followed up along with all their contacts. Too bad if some infectious person went to a netball game, because all those people in the stadium may need to be traced and their immune status verified. On the occasion of this recent outbreak a particularly large number of zombie memes have crawled out of the grave. Perhaps Venus is in Uranus or something this month. I sigh here because the facts on measles are as well established as the heliocentric model of the solar system. Just quickly, what is measles? Measles is a viral disease that comes with fever, cough, conjunctivitis and a rash. It is associated with many complications. In developed countries about 1 per 1000 die and 1-3 per 1000 are permanently brain damaged. People with compromised immune systems, and severe malnutrition are at greater risk of severe complications. Very rarely (1 per 100,000) a horrible rare degenerative condition occurs 7-11 years later (Subacute sclerosing panencephalitis SSPE) which is always fatal. Measles is spread by droplets and also airborne. It is one of the two most infectious diseases known to infect man. Measles is one the world’s leading killers of children. The rates are plummeting due to improvements in vaccination coverage and in 2014 only 13 children died every hour. The preceding couple of decades claimed over 20 million of the worlds children. (see here for measles mortality modelling) DON’T TELL ME IT IS NOT SERIOUS! The reason there is a global effort aimed at eradicating measles is because it is actually a rather nasty disease and we have the means to eradicate it for good. *Between 2000 and 2014 17.1 million children did not die of measles because we vaccinate. Most people who get measles suffer variably, some relatively mildly others take to bed for at least a week in extreme misery. However a significant proportion are so ill they need to be hospitalised. Recent outbreaks in NZ dictate this varies but in 2014 17.7% of cases were hospitalised and in 2015 22.2% of cases were hospitalised. Yep, I think this is proof that measles is serious, even in countries like NZ. It isn’t. There are no treatment for measles. 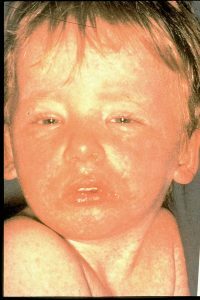 The WHO recommend Vitamin A for all children with acute measles, particularly requiring hospitalisation, regardless of country. Hospitalised kids in NZ get Vitamin A it may help a bit if the kid is malnourished. People who have been exposed and are un-immunised should be immunised ASAP, otherwise they need to be quarantined and this can be legally enforced. Exposed people can be given immunoglobulin (measles Ig) which is a blood product containing antibodies to measles. This is an unpleasant and very painful process as it requires the injection of very large volumes of product, 0.5 ml per kg of body weight into muscle, so a 50 kg person may need up to 25 ml (recommendations vary). OHCH!! Also, human blood products are expensive and not without risk. To put that in context, a vaccine dose is a tiny little 0.5ml. In case you heard it was, no, measles is not treated with IV Vitamin C as some crackpots recommend. There is absolutely NO scientific evidence that this is effective. 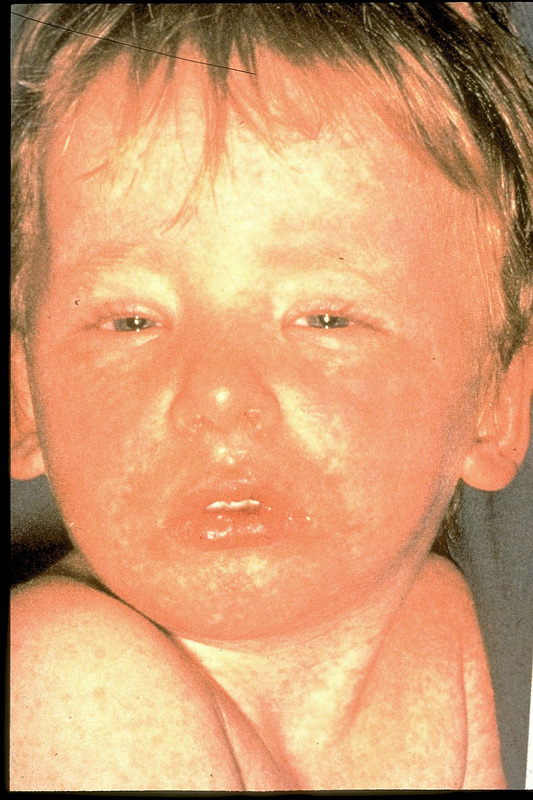 Here is a controlled trial of Vitamin C in the clinical course of measles. However if you prefer to dig deeper for an opinion on Vitamin C a website called Doctor Yourself has a 1952 opinion piece that was originally published in Archives of Pediatrics. How many cases in NZ are unvaccinated? In the 2014 outbreak 193/239 (80%) of cases were not vaccinated. In the 2015 outbreak all cases were unvaccinated (2/9). Given that most people are vaccinated the vaccine is clearly extremely effective. I have noted some figures based on the assumption that around 85% of the community have been vaccinated (this is a fuzzy logic estimate based on the fact that we have over 90% coverage for people born since 2006 and probably less than 80% coverage among people born 1990 – 2000). All 2014 measles cases except 3 occurred in people under 30 years. So, if our coverage is about 85% for about 1.05 million persons there are 892,500 people vaccinated and 157,500 unvaccinated. The number of cases vaccinated (46) over 892,500 is 0.005% and 193 over 157,500 is 0.12%. Very crudely speaking measles was 25 times more likely in the unvaccinated population in 2014. So, again very crudely but in terms of actual people, 0.005% = 5 people per 1000 vaccinated and 0.12% = 120 people per 1000 unvaccinated. Please correct my maths if I made a mistake here but it is back of envelope, However I do not feel the need to rigorously prove the effectiveness of MMR vaccine! Actual scientific studies have done that. One additional point here, basic maths dictates that as very high vaccination rates are achieved most cases will inevitably occur in vaccinated people. It works like this: If measles vaccine is, say, 95% efficacious, you have 100 people of whom 96 are vaccinated and 4 are not, when measles comes calling then the 4 unvaccinated and 5 of the vaccinated will get measles. Voila! You have an anti-immunisation meme because the all-important denominator has been omitted. A paper published in JAMA a couple of months ago illustrates the increased risk of measles (and pertussis) in vaccine refusers and provides a useful up-to-date resource summarising this in a very large population with historically high vaccination rates. An additional interesting point is that it was noted that unvaccinated people made up a greater proportion of cases in the initiation of the epidemic. In other words, unvaccinated are more likely to be the source of measles out breaks. The MMR vaccine is VERY safe. A major review published in 2012 assessed the adverse effects associated with MMR vaccine in children up the age of 15 years. It included randomised controlled trials, a controlled clinical trial, cohort studies, case-control studies, time-series trials, case cross-over trial, ecological studies, and self-controlled case series studies involving approximately 14,700,000 children. Exposure to MMR was found unlikely to be associated with autism, asthma, leukaemia, hay fever, type 1 diabetes, gait disturbance, Crohn’s disease, demyelinating diseases, bacterial or viral infections. Conditions found to have an increased risk associated with MMR vaccine are: Febrile seizures within two weeks, febrile seizures within six to 11 days in children aged 12-23 months, febrile seizures within six to 11 days in children aged 12-35 months, thrombocytopenia purpura (clotting disorder, you get a rash and it passes) within six weeks in children aged 12 to 23 months and thrombocytopenia purpura within six weeks in children aged one month to 18 years. These are all pretty rare events, the thrombocytopenia is in the order of 1 per 30,000. There are so many quality studies that address the MMR autism myth and it has been thoroughly debunked so I am not going in to it. Here is a link to the very latest study, looking at regressive autism in particular, just to add another nail in the MMR/autism zombie meme coffin. Oh and finally – with respect to claims of killer vaccines, here is a nice recent study from the Vaccine Safety Datalink in the US. It captures a data from a number of large health care sites (a bit like PHOs in NZ) including around 9 million vaccination events each year. A mind boggling number of jabs! If vaccines did bad stuff to people, even rarely, this system should detect it. In this study the risk of death occurring in days 0-30 after vaccination was calculated. The article has a figure that could be very useful. It shows all the deaths and the causes of those deaths. Two homicides, 10 suicides, 21 accidents, 5 neoplasms, 6 diseases of circulatory system, 3 diseases of respiratory system and 11 others, all different. In fact, the risk of death in those first 30 days after any vaccine was actually decreased. And as concerns seem quite focussed on death after HPV vaccine these days, this study found 13 deaths after Gardasil, a rate significantly lower that would be expected in the age group. Measles is a disgusting disease that has killed and disabled untold millions of children over the years. We have a safe and extremely effective vaccine that has eliminated the disease in many countries. Anti-vaccination activities and the spread of lies threatens the WHO goal of global measles eradication. NZ needs to improve the vaccine coverage among the cohorts in our community (teens and twentys) that still have low uptake for historical reasons. Then we can join countries like the America’s and Australia who have achieved the status of measles elimination through vaccination. *Corrected 13/6. I had put died instead of did not die. The number of children estimated to have died from measles in the preceding 20 year period over 20 million. Hope my corrections make clearer. Excellent article, Helen – thank you for this refutation of the usual anti-vaccine memes. Hi Helen, this is a fabulous article! I’m completing an assignment on the MMR vaccine for my school (St Marys College) . I have found a quote that I’m going to use from a website with a clear bias against the vaccine, however, the website has many inaccuracies. Generally non-live vaccines stimulate a type of immune response that leans towards the production of antibody. This does not occur in isolation from the cellular arm of the immune system which is critical in assisting in the antibody response. For many types of infection the vaccine response is adequate to provide long lasting protection (for example hepatitis B and HPV), for others a booster dose may be required to maintain protection (pertussis). With infections that would do better with more cellular immunity (T-cells) such as influenza we need better adjuvants (immune stimulators) that can induce the desire response. There are some new ones being used such as the one in the new shingles vaccine. Where the argument from Blaylock goes wrong is in the second part of the statement. What happens is that with a subunit vaccine the immune response will induce T-cells and B-cells with a preference for antibody secreting B-cells. Blaylock gives the impression that by vaccinating one is compromising the body’s ability to prevent infection. This is not the case because most vaccines work very well. Live vaccines (such as rotavirus, measles, mumps, and rubella) stimulate an immune response which is very similar to natural infection so his argument does not apply at all. So, the vaccines we use work well, many stimulate an adequate antibody response, for some we are working to improve the response to include more cellular immunity too so we have better performance.It should also be noted that some vaccines provide better protection that natural infection while stimulating a largely antibody focussed response (HPV and Hepatitis B for example) Blaylock’s argument is a bit of a red herring. Thanks for this Helen it has been a great help!